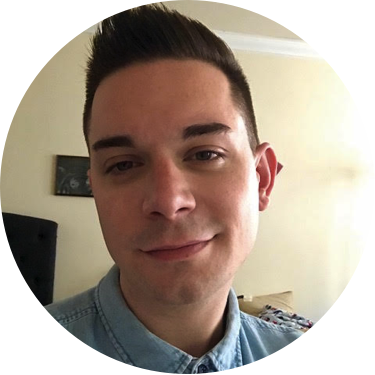 Read Steve's review of Night School. Star Kevin Hart and producer Will Packer, who partnered for the hit Ride Along and Think Like a Man series, bring their signature style to Night School. The comedy from director Malcolm D. Lee (Girls Trip) follows a group of misfits who are forced to attend adult classes in the longshot chance they’ll pass the GED exam. I am pumped for pretty much anything involving Tiffany Haddish at this point, team her up with Kevin Hart and you have my full and undivided attention. 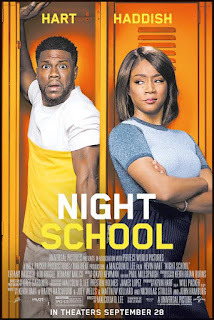 In Night School, we find high school dropout Teddy Walker (Kevin Hart) living the good life with a beautiful and successful girlfriend, a great job as a top barbecue salesman who has the rug pulled right out from under him. In his attempt to get right back on top, Teddy has to first go back to school and get his GED by attending night classes taught by Carrie (Tiffany Haddish). From their characters first introduction on screen, you can sense the comedic chemistry between Haddish and Hart. I’ve heard from a lot of people who say they aren’t fans of Kevin Hart, an opinion I do NOT share, because he seems to play to the same troupes each time. Regardless if that is the case or not, his brand of humor feels right at home alongside Tiffany Haddish and the rest of the cast. The story wasn’t anything ground breaking, but a decent plot was there and all of the characters had their time to shine which really allowed the movie to feel much more like an ensemble piece than just a story focusing on Tiffany and Kevin’s characters. This movie has enough laughs for everyone and even in the moments where it falters or hits a snag, it has a wild and ridiculous joke to move you right along.